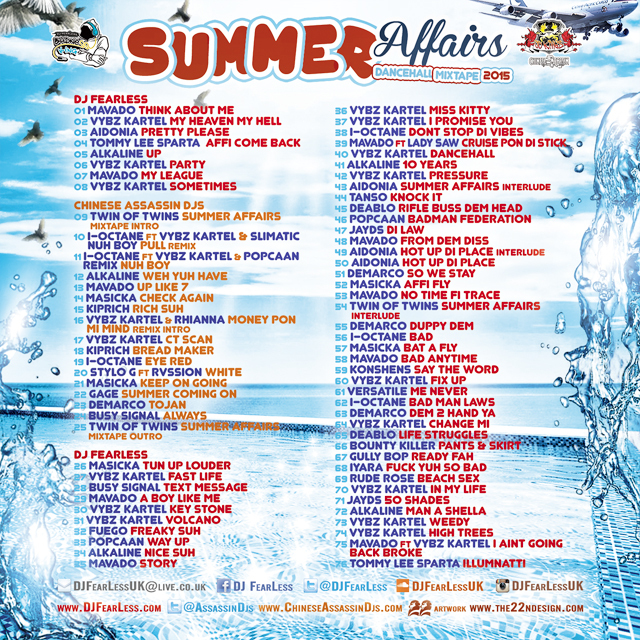 Temperature rising on the Summer Affairs Mixtape, the hottest soundtrack kicking off summer 2015! DJ Fearless now joins forces with Chinese Assassin Djs to deliver straight fire through your speakers from start to finish. The alliance between these Dancehall heavyweights will only help to bring bigger and greater things to the world of Dancehall music. You can expect the hottest blend of all the baddest tunes, as well as tracks to keep the ladies coming back for more on this Summer Affairs Mixtape. Only the latest and greatest, back to back to keep the heat way up all summer long!